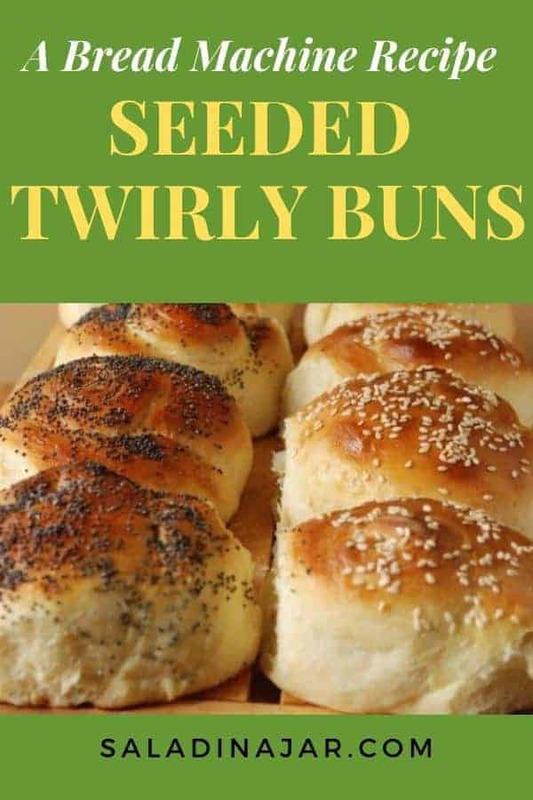 Seeded Twirly Buns are easy yeast dinner rolls or buns mixed and kneaded in the bread machine, rolled in a snail shape, topped with seeds, and baked in a conventional oven. Don’t worry if you don’t have a bread machine. You can also make these by hand or with a stand mixer. Amaze your friends or family with these homemade buns. Amaze yourself with how easy they are to make. Forget those squishy-squashy hamburger buns at the grocery store. These have substance, character, and outstanding flavor. 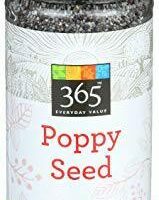 They are so good, you may find yourself eating them like a regular dinner roll. There’s no rule against it. 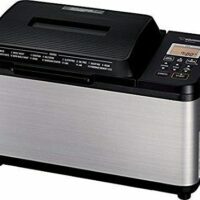 Time to break out your bread machine again. Buy, borrow or steal a machine if you don’t have one yet. I’m telling you it’s a miracle worker when it comes to homemade bread. Just don’t be baking your bread in it. It’s only a mixer/kneader as far as I’m concerned. As always with a bread machine, lift the lid after about 10-15 minutes into the cycle and check the texture. Dough should be starting to clean the sides of the bowl. If it’s too sticky, as in touching the pan everywhere, add flour 1 tablespoon at a time. If it’s too dry, the dough will be in a tight ball flapping against the sides. You will hear it. Add water 1 tablespoon at a time till dough sticks to the side briefly but cleanly releases. Experience is the best teacher with bread dough. See video below for a picture tutorial regarding the texture of your dough in the bread machine. Seeded Twirly Buns are easy yeast dinner rolls or buns mixed and kneaded in the bread machine, rolled in a snail shape, topped with seeds, and baked in a conventional oven. 1 egg + 1 teaspoon water. Place ingredients in order listed into your bread machine (or follow the order specified in the manual for your machine). Always check to be sure the blade is in place before you start. 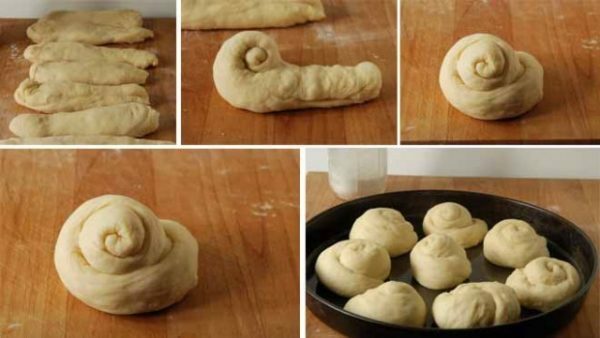 Set on the DOUGH cycle. When cycle is complete and dough has risen almost to top of the pan, remove dough to floured board or silicone sheet. Divide dough into two parts then each of those halves into 4 pieces making a total of 8. Loosely form each piece into a fat, rope shape. Then, STEP AWAY! Let the dough relax for about 10 minutes and life will be easier. Well... maybe not, but your dough will be much more agreeable about shaping. Using your hands, roll and pull each rope into an elongated piece of dough approximately 12 inches long. It doesn't have to be perfect. Then starting at one end, roll up like a snail. 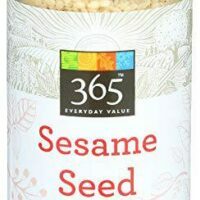 Place about 2 inches apart in a large pan or on a greased cookie sheet. Even better if covered with parchment paper or a silicone sheet. Tuck the end of the coil underneath the roll as you place it in the pan. With the palm of your hand, flatten coil slightly. Cover with towel. Let rise in warm place till double. Preheat oven to 400 degrees. Flatten rolls with palm of hand again down to about 1 inch thickness. Don't worry, they will pop up in the oven. Brush each roll with egg wash. 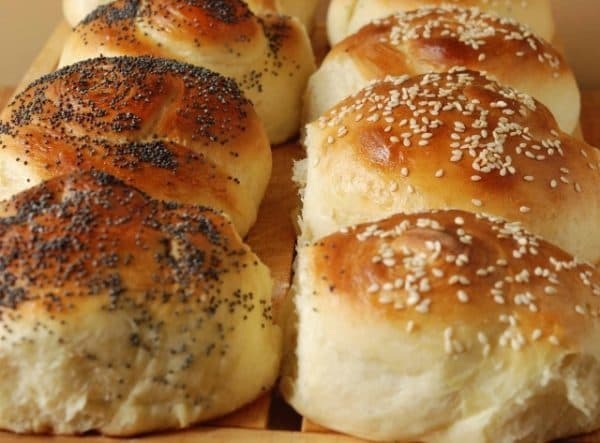 If desired, sprinkle buns with sesame seeds or poppy seeds. Bake in preheated oven for 10-12 minutes until golden. Cool on wire rack. When cool, split with a serrated knife to make sandwich buns. These rolls don't have any preservatives so you need to eat them within a day or two for greatest enjoyment. Otherwise, wrap well and freeze. 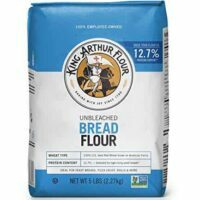 Can this recipe be converted to use without a bread machine? 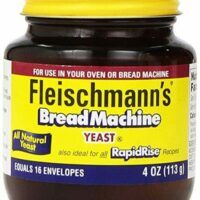 I would love too try this recipe but don’t have a bread machine. you are an amazing baker. everything looks wonderful! i would BUY these buns. 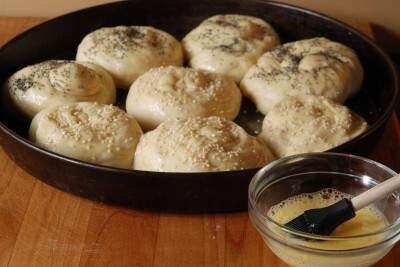 I am making these buns right now – I was about to start dumping ingredients in, then I remembered that my dough blade was sitting by the sink, then I read your reminder to make sure the dough blade was in place – good reminder! Thanks!! I made barbeque pork in the crock pot today, so I thought these buns would be great for sandwiches. Your buns look great! I am referring to your Seeded Twirly Buns of course.